We all hope, that we never have to face psycholgically stressful situations, that are just "too big" for us to cope. But for the case - there is help to be found. In 2017 LTE as one of the founding member, set up "Peer Team Austria" with other railway companies. Ronald Meitz was part of the team right from the beginning, and since January 2019, Lukas Frewein and Jan Frencl have been working as lay assistants for the LTE staff. the team provides care from the immediate professional environment of the affected person. This service is voluntary for affected employees and takes place under the strictest confidentiality. The peers are subject to absolute secrecy, even to the employer. followed by a final certification interview. 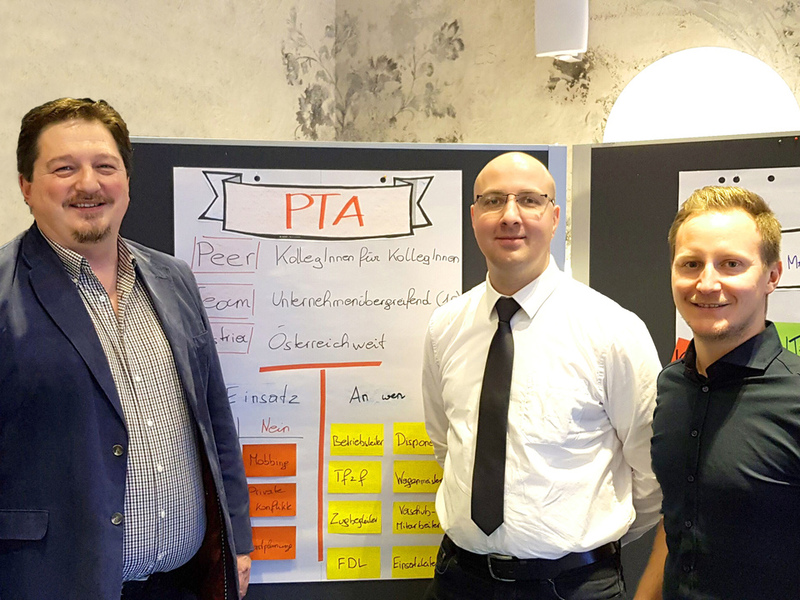 Lukas Frewein: "I can say with pleasure that since January I belong to the" Peer Team Austria ". The training is really interesting, I recommend it to anyone who is interested in helping colleagues. Each of the four modules spans two days, where everything is explained in detail and the techniques can be practiced intensively. "